When you choose L.J. Stone Company, Inc. as your pergola installation company, you’ll enjoy working with highly trained and experienced designers, carpenters, and installers. We are all committed to helping you create the outdoor pergola oasis that will make your home in Indianapolis, Muncie, Kokomo, or any other nearby community the talk of the town. Since 1967, homeowners in Noblesville, Anderson, Marion, and beyond have depended on the finely crafted home improvement products and superior installation services that L.J. Stone provides. We have ranked as one of the Top 200 Exterior Remodelers by Qualified Remodeler since the first list was published, so homeowners can be completely confident when we install a pergola or other patio cover options, like sunroom and solarium products. 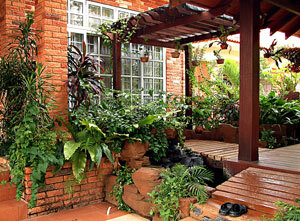 Along with our attractive pergola and patio room options, L.J. 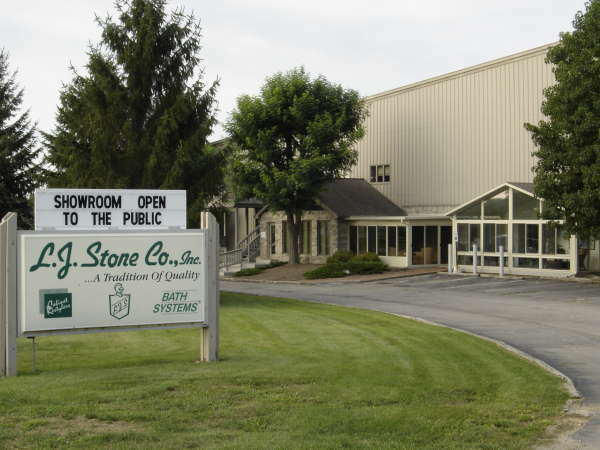 Stone offers a number of other home improvement products. From replacement windows and gutter protection systems to efficient bathroom remodeling and cabinet refacing products, we are sure to have the perfect products and the necessary installation expertise to help make your home the showpiece you’ve always wanted it to be. Contact L.J. Stone today to learn more about our pergola and patio sun room options, or for more information about any of our other products and services. We are proud to serve homeowners in Richmond, Greenfield, Greenwood, New Castle, Harford City, Columbus, and all other communities throughout central Indiana.